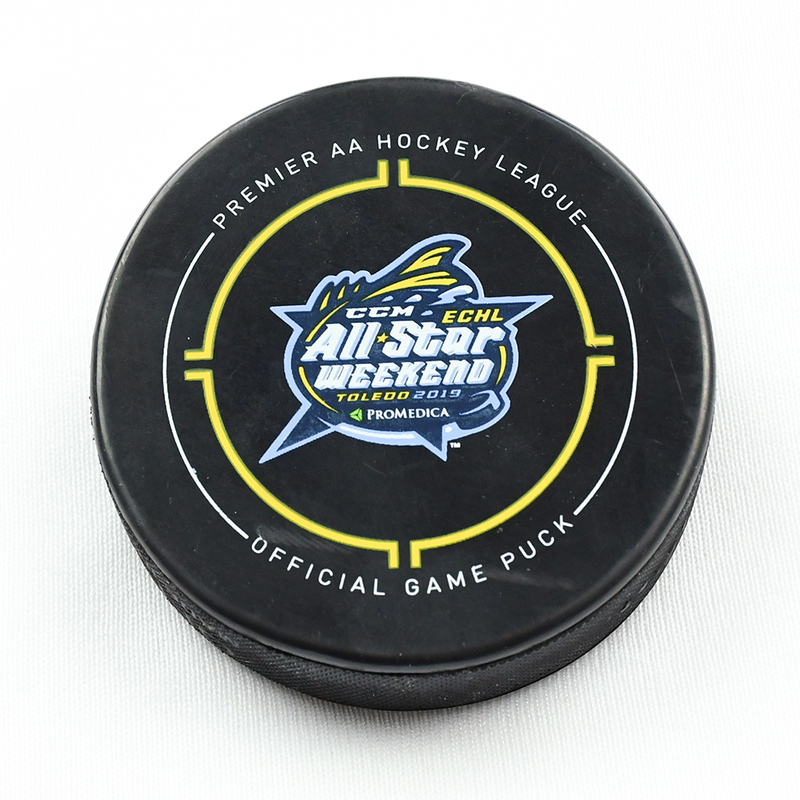 This is the puck that was used by Hooks All-Star Trevor Yates of the Toledo Walleye to score the 3rd goal of the 2019 ECHL All-Star Classic Fins vs. Hooks Semi-Final game. The goal, scored at 2:11, was assisted by Matt Register and Hunter Smith. This was the game winning goal. The Hooks defeated the Fins, 3-1. This 2019 CCM/ECHL All-Star Classic Goal Puck is registered into The MeiGrade System as No. MGA21448.